Welcome home to La Verne Village Luxury Apartment Homes and Shops! Situated in La Verne, California, this new community was influenced by contemporary craftsman-style architecture with elements of nostalgic craftsmanship and modern amenities. The community features include touches like slate and other naturally-formed finishes, exposed beams, earth-toned colors, exposed wood and metal details. The apartment homes are warm and inviting with premium hardwood style flooring, two-toned paint, crown molding, sleek modern appliances, ceiling fans and upgraded lighting within. Within the La Verne Village community, you will experience shops and dining at your fingertips. The University of La Verne and the five Claremont Colleges are also just minutes away. 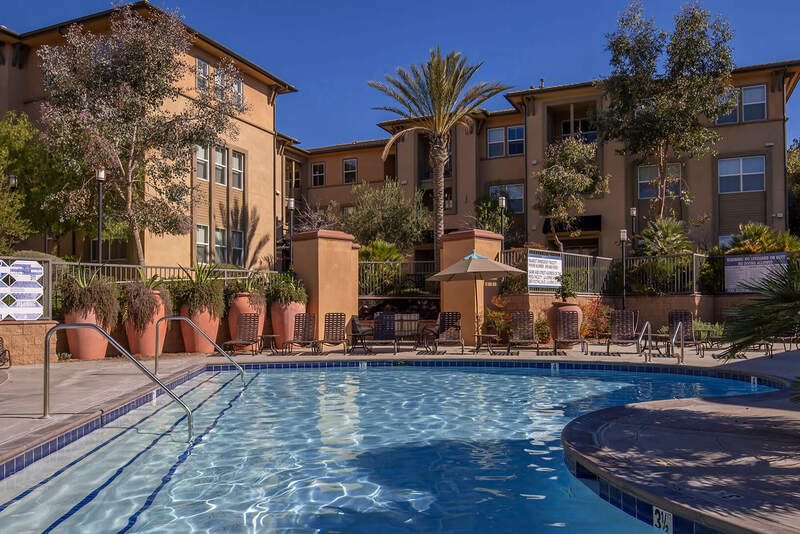 By choosing the La Verne Village lifestyle, you will have exclusive access to community amenities, such as a tech lounge, poolside retreat and entertainment area, fitness studio, media room, and resort-style swimming pool and spa. Browse our photo gallery or call to schedule a tour today and see why La Verne Village really is the perfect place to call home!